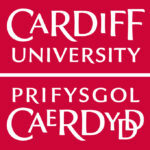 Founded in 1883, Cardiff University is one of Britain’s leading public research universities. The third oldest university institution in Wales, Cardiff University is the only Welsh member of the Russell Group of 24 leading UK research intensive universities. Cardiff University is the 8th largest university in the UK in terms of student numbers, catering more than 30,000 students. Cardiff University is ranked in the top 1% universities worldwide. The University has two Nobel Laureates on its staff and a number of others elected as Fellows of the Royal Society. The University is amongst the Top 5 UK universities for world-leading research excellence and impact, following the 2014 Research Excellence Framework (REF) based on quality. Top University in Wales, UK with more than 7,000 international students, staff from 78 countries, and over 155,000 alumni in 190 countries around the world. Several of Cardiff University subjects are placed in the Top 50 in the world (As according to QS WU Rankings by Subjects. This includes: Architecture (35th), Geography (44th), and Psychology (49th). Subject Strengths that places in the Top 10 in UK (as according to The Complete University Guide, 2017) are Anatomy & Physiology (8th), Architecture(3rd), Aural & Oral Sciences(5th), Communication and Media Studies(8th), Dentistry(6th), General Engineering(7th), Medical Technology (8th), Occupational Therapy(2nd), Ophthalmic(1st), Pharmacology & Pharmacy(4th), Physiotherapy(5th), Psychology(10th), Town & Country Planning and Landscape Design(3rd).